While the Marvel Cinematic Universe (MCU) formally introduced all its notable characters before it teamed them for 2012’s Avengers, the DC Extended Universe (DCEU) opted for a different approach. Technically, all of the heroes in 2017’s Justice League appeared on-screen prior to that effort, but three – Aquaman, Flash and Cyborg – enjoyed only the briefest of glimpses before they joined the gang. Avengers made $1.5 billion worldwide, while Justice League took in $657 million, about 43 percent of the former’s gross. 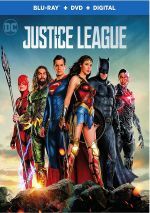 Would Justice League have performed better if it followed a better delineation path? Perhaps not, but Justice League clearly fell short of expectations, and I suspect the lack of real build-up harmed it. We didn’t get another DCEU film for 13 months after Justice League, as December 2018 allowed Aquaman to finally bring his origin story. Despite the disappointing sales for Justice League, audiences flocked to Aquaman and allowed it to score a Marvel-esque $1.1 billion worldwide. Whether this bolsters future DCEU flicks remains to be seen. After all, Justice League couldn’t capitalize on the massive success of 2017’s Wonder Woman, so the future of the DCEU doesn’t seem assured. If nothing else, we know we’ll get another Aquaman film. Whether it’ll be good is up in the air, and given the messiness of Aquaman, I won’t enter the second flick with high hopes. In 1985, lighthouse keeper Thomas Curry (Temuera Morrison) meets Atlanna (Nicole Kidman), a princess from the underwater realm of Atlantis. They fall in love and sire a half-human, half-Atlantean child they name Arthur. As he matures, Arthur (Jason Momoa) discovers that he possesses many skills from his Atlantean side. This means he can communicate with aquatic lifeforms and swim really well along with other talents that allow him to become a mysterious hero known as “Aquaman”. Back in Atlantis, the realm seems determined to go to war with mankind. Arthur visits the underwater domain in order to stop potential conflict and claim his rightful rank as king. That’s what we call a radically simplified synopsis, mainly because I didn’t want to exhaust my poor little fingers. Aquaman comes with a slew of side characters and subplots, most of which don’t mean a darned thing in the greater scheme. Because I already referred to the movie’s messiness, I’d prefer not to use that term again, but I find it difficult to avoid. Aquaman brings a loud, raucous mess that jumps all over the place and never coalesces into a coherent whole. Of course, much of the story follows a reasonably standard origin narrative, but the script can’t leave well enough alone. Honestly, a simple tale in which Arthur needs to restore order to Atlantis and confronts a challenge in that realm would be enough, but the movie tosses out lots of other plot points. This means two major villains, as Aquaman deals with Atlantean Orm Marius (Patrick Wilson) and human Black Manta (Yahya Abdul-Mateen II). One of those roles would seemed sufficient, especially because the film fails to use Manta in a compelling manner. When Manta appears, he remains largely superfluous, just an excuse to motivate some big action scenes. These don’t connect to the main plot in a particular necessary manner, and Manta ends up as little more than sequel bait, as his presence here feels like an elaborate tease for the next movie. Even if Aquaman completely eliminated all of Manta’s scenes, it’d still lack clarity, and director James Wan can’t tie together the various elements. He appears to believe that if he throws out one loud, aggressive scene after another, we won’t notice the movie’s basic incoherence. And maybe he’s right, as a lot of people dug Aquaman. I know I wanted to enjoy it, but the film acts as nothing more than bombast in search of heart and purpose. I hope the sequel works better. 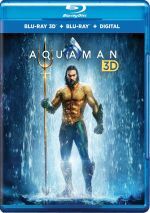 Aquaman appears in an aspect ratio of approximately 1.78:1 on this Blu-ray Disc – most of the time. Parts of the movie also used a 2.40:1 ratio. Indeed, the first 25 minutes, nine seconds of the film remained 2.40:1. It then broadened to 1.78:1 from 25:09 to 30:10, at which point it reverted to 2.40:1. Once we hit 32:22, we went back to 1.78:1 and we stayed there all the way to 1:21:52. From then until 1:24:04, we got 2.40:1, and 1:24:04 to 1:25:21 produced more 1.78:1. From 1:25:21 to 1:37:58, we spent time at 2.40:1 before the film opted for 1.78:1 from 1:37:58 to 2:14:29. The remainder of the movie – primarily text credits – brought 2.40:1. So out of a two-hour, 23-minute, 19-second film, 47 minutes, 48 seconds – or roughly one-third – opted for the 2.40:1 ratio, whereas the rest went 1.78:1. The vast majority of the 1.78:1 framing focused on Atlantis-related material, though that wasn’t a perfect rule. I admit the use of the dual ratios perplexed me. Why not just go 1.78:1 the whole way? Actually, the 1.78:1 surprised me because those scenes were shot 1.90:1. I’m glad they opened up but I’d have preferred that the image stuck with the 1.90:1 dimensions rather than alter them for this presentation. In terms of picture quality, sharpness seemed very good, though some minor lapses occurred, as I felt some dimmer wide shots could seem a bit tentative. Still, the flick generally came across as accurate and well-defined. I saw no jaggies or moiré effects, and the image lacked edge haloes. Print flaws also failed to materialize. To the surprise of no one, the movie opted for a teal and orange palette much of the time, along with some yellow/amber at times. Given all the watery shots, the blue-green side of the street dominated. Predictable though those choices may be, they came across with positive clarity and dimensionality. Blacks seemed dark and tight, while shadows appeared smooth and well-rendered. Other than some mild softness, the movie looked very good. I also felt pleased with the film’s impressive Dolby Atmos soundtrack, as it added involvement to the proceedings. Downconverted to Dolby TrueHD 7.1, much of the movie came with vivid action scenes that used the channels well. At these times, the soundfield broadened to give the story a nice orientation. These moments increased as the film progressed and brought out solid movement and punch when appropriate. Audio quality always satisfied, with music that appeared full and dynamic. Speech came across as natural and concise, without edginess or other concerns. Effects fared well, too, as those elements boasted positive accuracy and heft, with deep, tight low-end along for the ride. Given the movie’s hectic pace, the mix opened up on a frequent basis and made this a winning track. The disc comes packed with many featurettes, and these start with Becoming Aquaman. 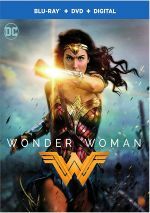 In this 13-minute, three-second show, we hear from director James Wan, producer Peter Safran, stunt coordinator Kyle Gardiner, executive producer Rob Cowan, and actors Jason Momoa, Temuera Morrison, Yahya Abdul-Mateen II, Patrick Wilson, and Amber Heard. As the title implies, the reel discusses Momoa’s casting, character and performance. Some of this tends toward the usual happy talk, but we get a few good insights as well as some nice behind the scenes material. 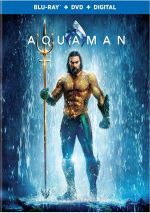 After this we find Going Deep Into the World of Aquaman, a 19-minute, 28-second reel with Wan, Cowan, Momoa, Safran, Gardiner, Wilson, Abdul-Mateen, Morrison, Heard, production designer Bill Brzeski, costume designer Kym Barrett, fight coordinator Jon Valera, director of photography Don Burgess, set decorator Bev Dunn, location manager Duncan Jones, special makeup effects and specialty designer Justin Raleigh, and actors Willem Dafoe, Dolph Lundgren, and Nicole Kidman. “Deep” covers creating a watery setting, sets and locations, costumes and production design, and general aspects of the film. “Deep” follows the shoot in order, so it acts as something of a production diary. It does well and becomes an informative show. Next comes World Builder, a seven-minute, 42-second piece with Wan, Momoa, Brzeski, Cowan, writer David Leslie Johnson-McGoldrick, and visual effects supervisor Kelvin McIlwain. This one focuses on Wan’s contributions and the design/execution of Atlantis. I expected this one to focus on praise for the director, but it offers a solid level of filmmaking notes. For insights about a bad guy, we head to The Dark Depths of Black Manta. In this six-minute, 39-second show, we hear from Abdul-Mateen and a narrator as they discuss the Manta character and Abdul-Mateen’s performance. I like the look back at the comic book’s Manta and his depiction here, so expect a pretty useful overview. On the other side of the coin, Heroines of Atlantis lasts five minutes, 31 seconds and features Kidman, Heard, Wan, Momoa, Safran, and Morrison. As expected, we learn about Mera and Queen Atlanna as well as the performances behind them. It’s not bad but it tends toward fluff. Villainous Training fills six minutes, 21 seconds and notes from Safran, Wan, Wilson, Abdul-Mateen, and fight coordinator Jon Valera. Here we learn a little more about the movie’s bad guys. Like “Heroines”, it boasts some praise, but it brings more depth, especially in terms of the fight styles. Love fills the air via A Match Made in Atlantis. The three-minute, 12-second featurette gives comments from Momoa, Heard, Wan, and Wilson. We get some notes about the Arthur/Mera connection in this generally puffy piece. After this we see Atlantis Warfare, a four-minute, 40-second piece with Wan, Lundgren, McIlwain, Cowan, Brzeski, property master Richie Dehne and assistant property master Richard Mansfield. “Warfare” discusses the movie’s weapons and vehicles. Though it comes with some good views, it tends toward too much praise. With Creating Undersea Creatures, we discover a seven-minute, 15-second show with Wan, Dafoe, Johnson-McGoldrick, McIlhain, Raleigh, Safran, Brzeski, and Momoa. As expected, “Undersea” tells us about the design and execution of various aquatic critters. Like “Warfare”, we get a lot of happy talk, but we still find some useful notes. 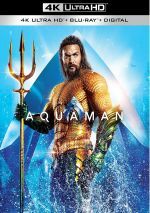 Aqua-Tech lasts five minutes, 42 seconds and includes material from Wan, Burgess, McIlwain, Safran, Wilson, Dafoe, Brzeski, Abdul-Mateen, Cowan, virtual production supervisor Eric Carney, special effects supervisor Brian Cox, and draftsman Benjamin Donnelly. Various effects take the stage here, and the end result works pretty well. In particular, our view of the stages of effects and some design choices add value. Lastly, Kingdoms of the Seven Seas takes up six minutes, 59 seconds with narration from Lundgren. We get a view of Atlantis as depicted in the comics and the movie. It becomes a decent little summary. Under Scene Study Breakdown, we find examinations of three film sequences: “Submarine Attack” (2:44), “Showdown in Sicily” (3:54) and “The Trench” (3:36). Across these, we hear from Wan, Momoa, Abdul-Mateen, Gardiner, Brzeski, Safran, Heard, McIlwain, stuntman Stephen Murdoch, stunt coordinator RA Rondell, and 2nd unit director John Mahaffie. In these clips, we find specifics about the creation of the three scenes in question. Expect a positive array of details and insights. Footnote: why do so many of the film’s participants pronounce it “Ack-waman” instead of “Awk-waman”? It’s bizarre. The disc opens with ads for Shazam, Creed II and the Blade Runner: Nexus mobile game. An additional Sneak Peek at Shazam (3:27) provides a full scene from that film. No trailer for Aquaman appears here. Arguably the DC Extended Universe’s biggest hit, I regard Aquaman as an equally big disappointment. Loud, incoherent and generally absurd, the film throws lots of action our way but little of it boasts real impact. The Blu-ray comes with very good picture, excellent audio and a pretty solid set of supplements. Aquaman isn’t the worst superhero film I’ve seen, but it squanders its potential.